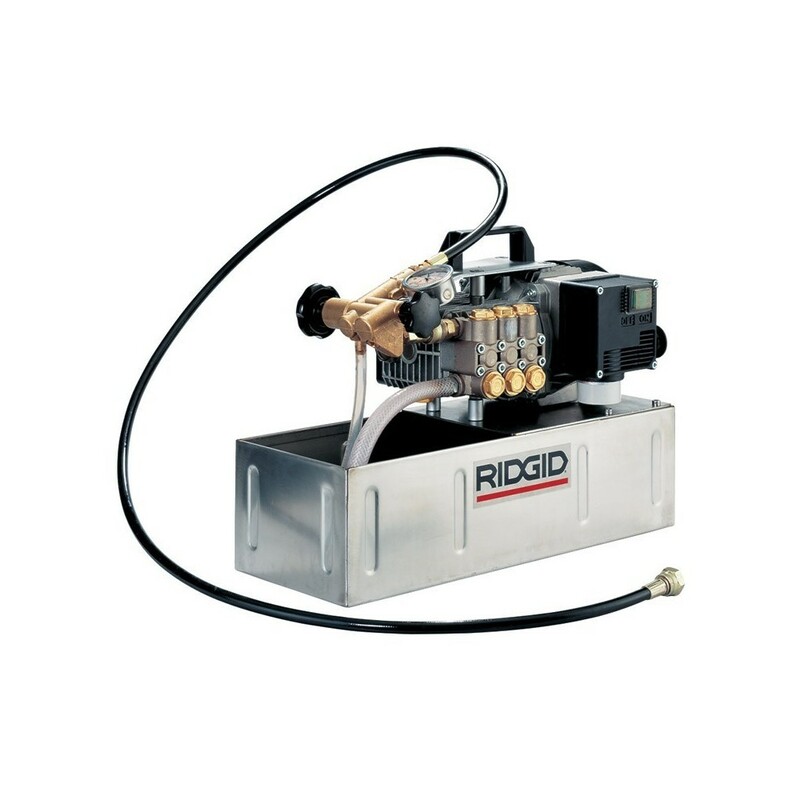 RIDGID 1460-E Electric Testing Pump tests all types of installations such as heating, compressed air and refrigeration systems, oil installations, fire lines and small bore pipelines. The automatic pressure holding valves enables the user to easily pressurise the system. Compatible fluids include water, oil and ethylene glycol. Can be connected to water supply for rapid filling. • 3 plunger ceramic piston pump for slow pressure build up and longer life. • Quick coupling system to disconnect control block and gauge. This can be left on circuit being tested. Pump can be used to pressurise another circuit with second accessory control block. • Stainless steel container (non acid liquids). • Water flow: 9 l/min.